China and its roughly 1.4 billion citizens are the world’s biggest consumer of power. As the nation’s energy consumption grows, Beijing is anxious to develop alternative sources. The International Energy Agency (IEA) has predicted that China will overtake the United States as the biggest nuclear-energy producer by 2030. China’s nuclear ambitions have now extended beyond its borders. Most recently, on July 29, Turkey’s President Recep Tayyip Erdogan announced a plan to build that country’s fourth nuclear power plant by working with China, according to Turkish news site Ahval. However, China hasn’t gotten to where it is solely with its own research and development. In fact, the country’s nuclear industry has grown by means fair and foul. The Office of the U.S. Trade Representative recently raised concerns about China’s theft of American nuclear technology through cyberattacks, in its investigative “Section 301” report on China’s intellectual-property practices that was published in March. The report mentions a case involving Westinghouse, a leading American supplier of nuclear power products and services. 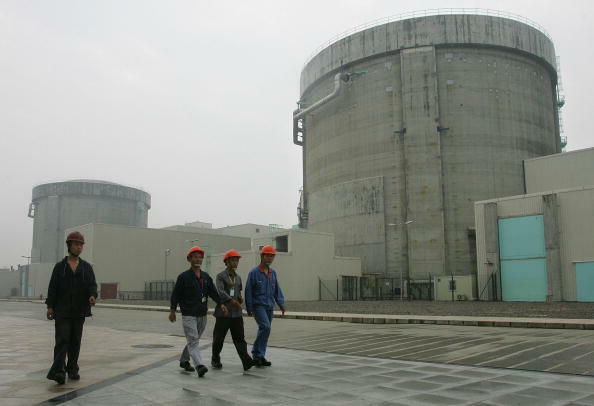 In 2010, Westinghouse was jointly building four AP1000 nuclear plants in China, in collaboration with the state-run State Nuclear Power Technology (SNPTC), according to the report. The contract to build the four plants—pressurized water reactors with stringent safety standards designed by Westinghouse—was announced in 2006. As part of the agreement, Westinghouse agreed to transfer the technology behind the AP1000 to gain access to China’s nuclear market. According to the Section 310 report, between May 2010 to January 2011, Westinghouse was hit with four incidents of cyber-intrusion by the 3PLA, or the Third Department of the Chinese military’s General Staff, equivalent to the U.S. National Security Agency (NSA). The attacks resulted in the 3PLA getting its hands on at least 1.4 gigabytes of data, including trade secrets, technical and design specifications for the AP1000, and sensitive emails belonging to senior executives at Westinghouse, according to the report. China didn’t hide its motives with regards to the AP1000. For instance, China stated that it must “comprehensively master” the AP1000 design and “indigenously” complete standard designs at domestic facilities, as outlined in the “12th Five-Year Science and Technology Plan,” a national policy issued in July 2011. China’s continued theft of U.S. technology is one of the major reasons that the administration of President Donald Trump has imposed tariffs and set off the Sino–U.S. trade war. However, the pressure the Trump administration can apply to China’s nuclear sector appears to be minimal, since only a few Chinese-made nuclear products, including nuclear reactors, nuclear reactor parts, and uranium, are among the roughly 1,300 products slapped with 25 percent tariffs, according to the USTR’s website. Uranium, the material needed to power a nuclear reactor, plays a relatively minor role in the trade between the two countries. According to U.S. government statistics, the United States imports most of its uranium from Canada, Russia, and Kazakhstan. Meanwhile, in 2015, China imported 30 percent of its enriched uranium from the United States. According to a July 30 analysis report published by Chinese magazine China Energy Store, the impact of the trade war on China’s nuclear sector, in terms of both imports and exports, would be marginal because indigenization of nuclear equipment has reached over 70 percent. As of May 2018, China had 38 nuclear plants operating, with a capacity of about 37 gigawatts (GW), while another 18 plants are under construction, with a capacity of 21 GW, according to the state-run People’s Daily. Meanwhile, building nuclear reactors for other countries is a key element of China’s “One Belt, One Road” (also known as Belt and Road) infrastructure project. Belt and Road is an ambitious investment project that Beijing has promoted as a revival of the ancient Silk Road trade route between China and Europe. The Chinese regime would build infrastructure along the route, spanning countries in Central Asia, the Middle East, Europe, and Africa. In Pakistan, China is currently building two Hualong-1 reactors in Karachi. Another one in Chashma is in its planning stages. Hualong-1, China’s homegrown third-generation reactor that was jointly developed by the state-run China National Nuclear Corporation (CNNC) and China General Nuclear Power Group (CGN), has been promoted to interested countries since it was officially introduced in March 2016. According to a May 2017 article by state-run media Xinhua, Chinese Premier Li Keqiang called Hualong-1 a “landmark project” integral to the “Made of China 2025” policy. Issued in May 2015, the policy outlines China’s ambitions to upgrade 10 domestic tech sectors and catch up with foreign competitors, eventually dominating global markets by 2025. In November 2017, Argentina announced that it would start building two nuclear reactors, one of them a Hualong-1, under an agreement it signed with CNNC in 2015. According to Reuters, the cost of the two plants would surpass $13 billion over 10 years, with 85 percent to be financed by Chinese institutions. In a May 18 article, Xinhua explained the competitive edge that Chinese nuclear reactors have over other countries’ companies: China’s banks can provide strong financial support. In June 2014, China’s state-run Industrial and Commercial Bank of China (ICBC) agreed to finance CGN’s nuclear project in Romania with 10 billion euros (about $11.6 billion), according to Xinhua. China also has been aggressively recruiting overseas Chinese and foreign talents to propel the development of its nuclear industry. In 2008, Chinese regime introduced the “Thousand Talents” plan, a national policy that aims to attract promising science and tech professionals to work in China by providing them with a financial package and guaranteed employment with a leadership or professional position at a university, research institute, or state-owned enterprise. Three employees at CNNC were recruited through the Thousand Talents Plan in 2013, according to the official website of the State-owned Assets Supervision and Administration Commission (SASAC). Among the three was Cui Daqing, a former research scientist at the Royal Institute of Technology in Stockholm, Sweden and the Institute for Transuranium Elements (ITU), a research center under the European Union. Cui received a one-time payment of 1 million yuan ($146,417) when he took the CNNC job. Another recruit is Michael Scott Smith, a former group leader and distinguished scientist at the Oak Ridge National Laboratory, a U.S. laboratory sponsored by the U.S. Department of Energy (DOE). Smith was awarded a one-time payment of 500,000 yuan ($73,208). And before Yun Di returned to China in 2015 and became a professor at the School of Energy and Power Engineering at Xi’an Jiaotong University in Xi’an City, Shaanxi Province, he worked at the Argonne National Laboratory, another of DOE’s national laboratories, according to the university’s official website. According to the official website of the Thousand Talents Plan, China’s state-run nuclear research center, the Institute of Nuclear Energy Safety Technology, successfully recruited four overseas experts as of August 2013.